I love Giveaways & I love you, my dear readers! So much that I'm partnering with a few awesome bloggers to host another giveaway for you! 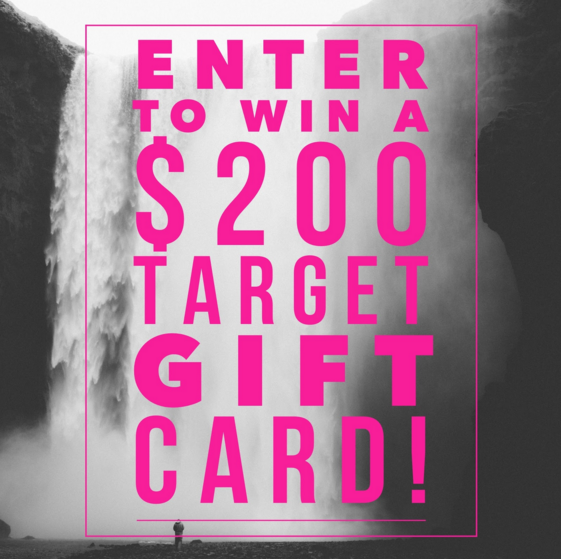 And who doesn't want a $200 Target gift card? Umm hello...Target shopping spree!! But seriously, thank you so much for all your support! It means so much that you have such generous hearts & are constantly so encouraging! This is just a small token of my appreciation for you. Don't forget that the earlier you enter, the more chances you have to win! Just bookmark this page and be sure to visit daily for those extra entries (click through each entry, follow each blogger on Instagram and leave a "like" and comment for extra entries each day!). Good luck, friends!